Stumbling Growth: Was the Negative First Quarter GDP Just a Fluke? Home » Blog » Category: Economy, Markets, and Interest Rates » Stumbling Growth: Was the Negative 2.9% First Quarter GDP Really Just a Fluke? For twenty-odd years, investment spending by companies has lagged, which has caused economic growth (GDP) to become more dependent on consumer spending. However, consumers are now showing signs of financial stress. So, unless investment spending picks up, a recession is likely. Companies can spend money on manufacturing plants, equipment and products, buy another company, pay down debt, or buy back their own stock. Only spending on plants, equipment and products transmits directly into economic growth. 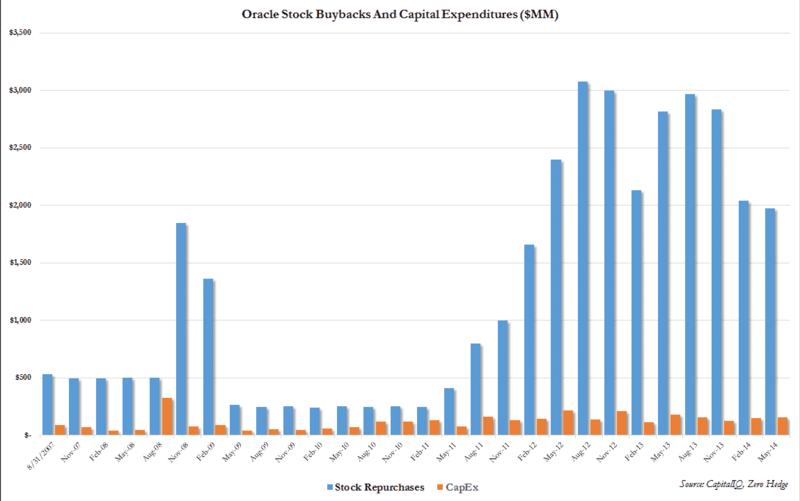 However, for the past five to ten years, stock buybacks have been the preferred spending method. Stock buybacks cut the amount of outstanding stock that boasts the earnings per share, thus causing companies to seem more profitable. Today, many executive salaries are paid in stock, and their level of stock compensation depends on earnings per share. In 2013, the corporations in the Standard & Poor’s 500 index spent $477 billion on stock buybacks. Moreover, those companies bought back that stock after the stock market had increased over 100%.